As a testament to the area's rich steel history, Minor League Baseball's Lehigh Valley Iron Pigs are named after raw steel, known colloquially as "pig iron". Quite apart from its practical strengths - simple lines, basic color palette and balanced proportions - the logo is a wonderful visual interpretation of the team's identity which has been resoundingly endorsed as evidenced by the team's strong merchandise sales. 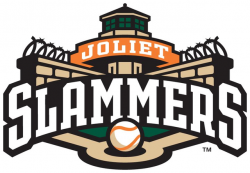 Minor League Baseball carries a tradition of novel team identities and the Joliet Slammers are no exception owing to their logo's visual interpretation of a clever word play on the term "slammers", both a slang reference to a prison and a noun for someone who hits bases loaded home runs. Depicting a baseball diamond in a prison yard surrounded by barbed wire topped walls overlooked by a guard tower, the logo is vividly illustrated in a symmetrical fashion, interweaving the team's name neatly like a jigsaw puzzle. Compounding the rhetorical double entendre, the team's mascot is a black crow nicknamed, J. Bird from the colloquial term referring to prisoners as jailbirds. Although the area is well known for its proximity to a couple of large penitentiaries, the risk of its convict association being considered a little unsavory seems to be fairly well neutralized by the logo's cartoonish rendering. 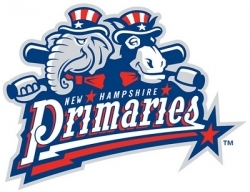 Playing off the state's hosting of the famous presidential primary election every four years which signals the start of the next election cycle, the New Hampshire Primaries cleverly adopted both an elephant and donkey as mascots representing the Republican and Democratic parties respectively. The mark of minor league baseball's Lancaster Jethawks is an effective visual metaphor constructed by combining elements of the club's unique identity, from its proud hawk and crossed baseball bats to the emblematic wings representing the area's association with the aerospace industry. Versatile enough that icon variations can be extracted from it depending on the necessary application, the crest-like logo is a strong merchandising asset for the organization. Named for a fish common to the area which is fun to catch and whose name is fun to say, the mark of minor league baseball's Pensacola Blue Wahoos adheres to Brandiose's design philosophy that if "it [can] fit in another city ... it?s time to go back to the drawing board". Employing typography which mimics that of the iconic Pensacola Beach sign and colors which uniquely represent the feel of the city, the logo is a vibrant and fun visual metaphor for the area and the club's minor league baseball experience. 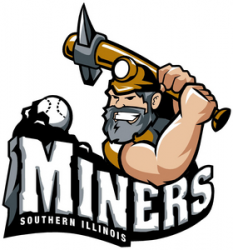 Creatively fusing the team's mining roots with the baseball theme, Minor League Baseball's Southern Illinois Miners logo is a type of visual portmanteau - a baseball bat-pick axe wielding miner, artistically and expressively illustrated in a fashion which lends it to versatile merchandising applications. 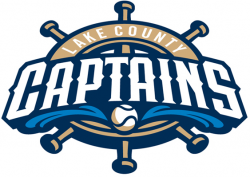 The maritime themed, badge-like logo of Minor League Baseball's Lake County Captains is comprised of its team name underlined by ocean waves and set in a ship's wheel in metaphorical tribute to its captains mascot. Employing a traditional baseball typography used by Major League clubs like the Anaheim Angels, the logo blends both baseball and maritime tradition in a classy mark.